The last date to withdraw from Semester 1 courses that commenced Monday 20 February, 2017 is Friday 3 March, 2017. For help and further information please phone the Contact Centre on +64 3 364 2555 or 0800 VARSITY. Alternatively you can email us here (enrol@canterbury.ac.nz). 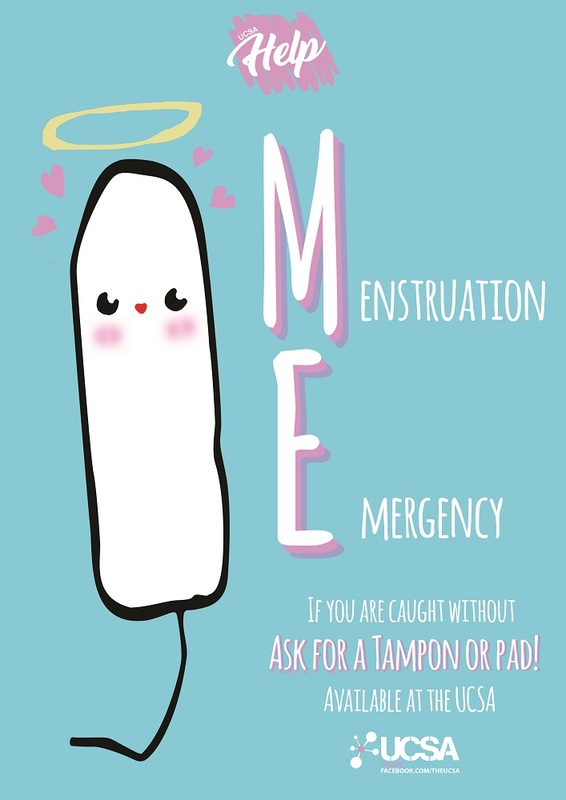 During menstruation/your period you may have experienced a time when you need a tampon or pad and you can’t find one in your bag. The Help team at UCSA Advocacy & Welfare can assist you if you find yourself in this situation. If you or your friend get caught out, need a tampon or pad but can’t find one, don’t panic. Come into UCSA reception and say “I would like some tampons/pads” and we’ll sort you out. It’s that easy (both regular and super available.) Our staff are respectful and discreet. Dr Bike is back for 2017! Dr Bike is back for 2017 and starts on Tuesday 28th of February! Dr Bike is a free fix-it clinic for basic bike issues available to both staff and students, funded by the Sustainability Office. This service provides basic maintenance and repairs such as puncture repair, brake tuning and oiling chains. 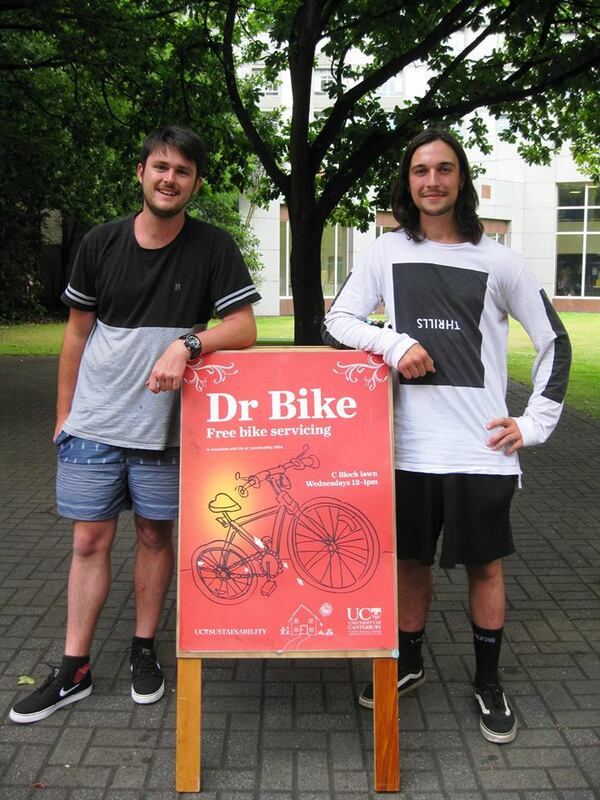 Olly Ng and Zac Porter are running Dr Bike on Tuesdays, 12-1 pm on C-Block lawn during term time. For more information, check here. We are excited that Dr Bike will be using eco-friendly bicycle lubricants, thanks to a 2 year sponsorship from Christchurch-based company Biomaxa! If you’re interested in seeing how Dr Bike fits into the bigger picture about planning for cyclists at UC, you might like to look at the draft UC Cycle Plan 2014-2022. Welcome back to uni and keep an eye out for these guys on Tuesdays! Last year’s Dr Bike team, Zac (R) will continue this year!